Noel Fehily will bow out of the saddle at Newbury on Saturday, ending a career spanning more than two decades and littered with Grade 1 victories in the latter years. Fehily made his shock retirement announcement at last week's Cheltenham Festival after partnering 50-1 shot Eglantine Du Seuil to victory in the Tattersalls Mares' Novices' Hurdle for Willie Mullins. Rather than stay on until the end of the season, the 43-year-old, who hails from County Cork, decided against a long retirement tour and will instead step down after three rides on Saturday's card. 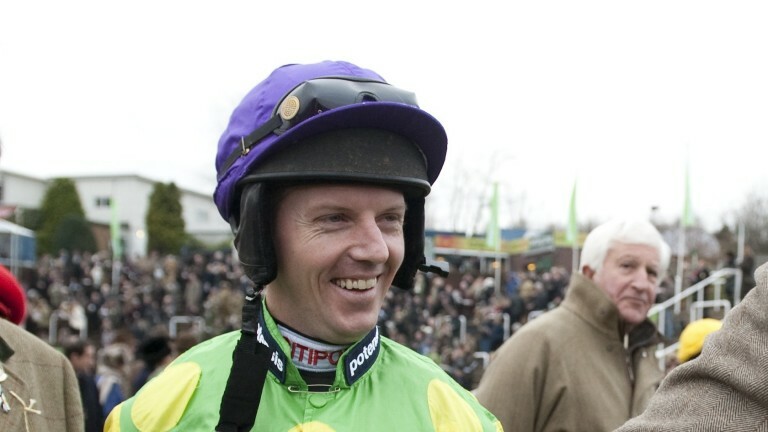 A guard of honour, presentation and autograph signing for the public will all take place to mark Fehily's achievements. Reflecting on his retirement decision, Fehily said on Friday: "There comes a time when you have to say enough's enough. When I got sick in January-February time, I thought I wasn't going to make it back for the rest of the season. "That's when I decided. I'd have had to get fit again through the summer and get going again next season. I made my mind up I wasn't going to do that. "I got back for Cheltenham and I'd spoken to my wife and agent Chris Broad and decided if I was lucky enough to ride a winner at Cheltenham I'd announce it there. "If I hadn't ridden a winner I probably would have carried on until later in the season. Once I'd announced it there was no way I was going to carry on too long. "I broke my neck on the last day of the season last year at Punchestown and if you'd told me then I'd have to stop I would have been very upset, I wasn't ready. Whereas now I'm ready to stop and feel it's the right time." When Fehily came over to Britain, he started out with Charlie Mann, who provided him with a first winner aboard Ivy Boy at Plumpton on November 16, 1998. That partnership has endured throughout Fehily's career, with the pair teaming up at Huntingdon on Tuesday with Capone, and they link up for a final time with Prabeni in the juvenile handicap hurdle (2.40). After that, Fehily has two rides for Harry Fry, who paid tribute to him on Friday. He said: "Noel’s the ultimate professional. It’s an honour to have been so closely associated with him and to provide him with his final ride. "Hopefully we can then look back after the race fondly on what's been an incredible career and on a retirement he fully deserves." The unbeaten Get In The Queue looks to have every chance of providing Fehily with a fitting send-off, and the rider rates the five-year-old's chances. He said: "The horse in the bumper we like a lot, hopefully the ground won't dry out too much." Reflecting on a career that yielded more than 1,350 winners, 27 of them at Grade 1 level, including Champion Hurdle victories aboard Buveur D'Air and Rock On Ruby and back-to-back King Georges courtesy of Silviniaco Conti in 2013 and 2014, Fehily said: "I had a lot of good days, the obvious ones are the Champion Hurdles and Champion Chases and King Georges. "I rode Unowhatimeanharry to win a Stayers' Hurdle in Ireland and my parents were there. That was probably the only time they've seen me ride a Grade 1 winner. "I'd change nothing. I don't look back and regret a whole lot of things, I had a good run at it."